This year, we once again had the opportunity to attend America’s Family Pet Expo in Orange County, CA and as always, we had an absolute blast! 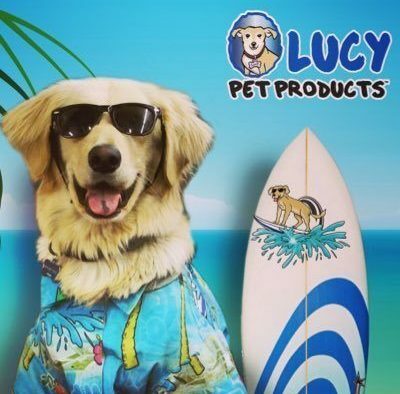 Beyond meeting hundreds of new animal lovers we are proud to call friends, we got the chance to check out Lucy Pet Products, meet Surfin’ Jack and see the new wave machine that Lucy Pet Products gets to haul around to a variety shows. But, first – a Wave Machine for Dogs! You heard me right – there was a wave machine for dogs! We received product samples, however our opinions are our own and we are under no obligation to create a positive review or article. 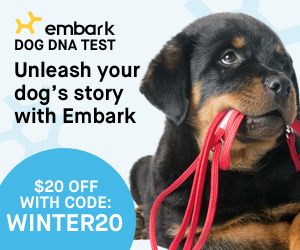 We do our best to use affiliate links when possible. There are several things we support wholeheartedly – the first is animal rescue and the second is any company who donate their profits to animal rescues (which, trust me, isn’t as many as you may think). Lucy Pet Products not only donates their profits to the nonprofit Lucy Pet Foundation, they also have a line of pet products that we have fallen in love with (especially the conditioner!). Lucy Pet Products recently launched a line of luxury dog and cat shampoos and leave-in conditioning sprays, all of which are made with cruelty-free ingredients. The owner of this company is Joey Herrick, former owner of Natural Balance Pet Foods. Herrick also created the Lucy Pet Foundation which is a registered 501(c)3 animal charity whose mission is to reduce overpopulation and prevent the euthanasia of over 80,000 dogs and cats each week. Their shampoos and leave-in spray conditioners are not only safe for your pets, they help condition and strengthen your pets hair. Surfin’ Jack also has a whitening shampoo that we found very helpful and effective for Brock and Bree, our two white and black dogs. Bree smiling about her new white coat! Brock sporting a white chest! Pup a Dub Dub Gentle Formula Shampoo & Leave-In Conditioning Shampoo. They all smell amazing (seriously, you have to try them), and best of all – none of the products contain parabens, sulfates, phosphates or other harsh chemical ingredients. Not only is Lucy Pet Products committed to animals, they are focused on being environmentally responsible and eco-friendly. Each of their products are packaged in high quality, recyclable metal bottles. Since Lucy Pet Products shampoos and conditioners are created with natural ingredients and manufactured in a 100% solar powered production facility in Southern California, the entire focus of the company is on being responsible stewards of the earth. We hope you’ll give these shampoos and conditioners a try. We think you’ll be as impressed as we are!